July 19th, 2017 | Categories: Design News and Home Staging Tips. Tags: home staging, luxury home staging, multiple offers, Paint Colors, and professional home staging. We’ve previously discussed what top home features sell a house for more, and faster. Today, we’re taking a dive into which are the best paint colors for home staging that will actually increase the selling price of your home. What’s the secret to increasing your home’s sale value? According to Zillow who recently conducted their 2017 Paint Color Analysis, the answer is the right color paint. 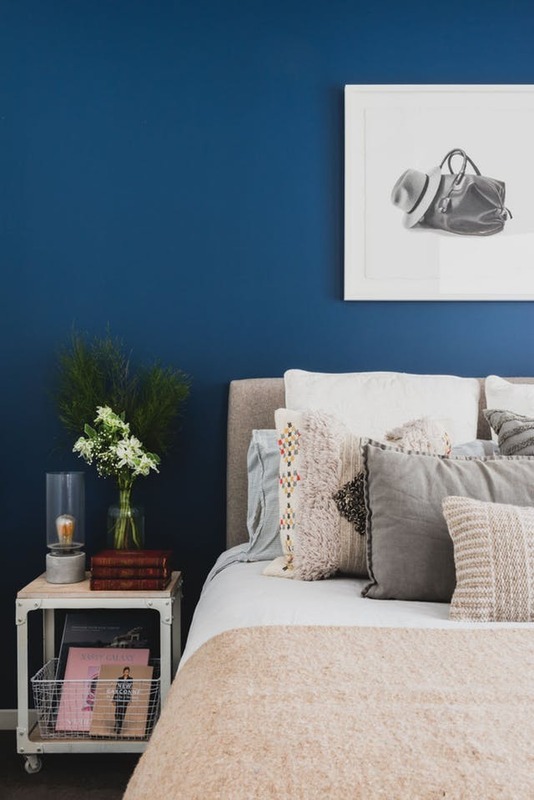 Zillow found that homes with walls painted in light shades of blue and gray could sell for as much as $5,400 more than homes with other colors. Specifically, the study showed that homes with bathrooms painted blue – most frequently a hue of powder blue or periwinkle – sold for $5,440 more than expected. Of all of the colors studied, that was by far the most drastic increase in sale price. 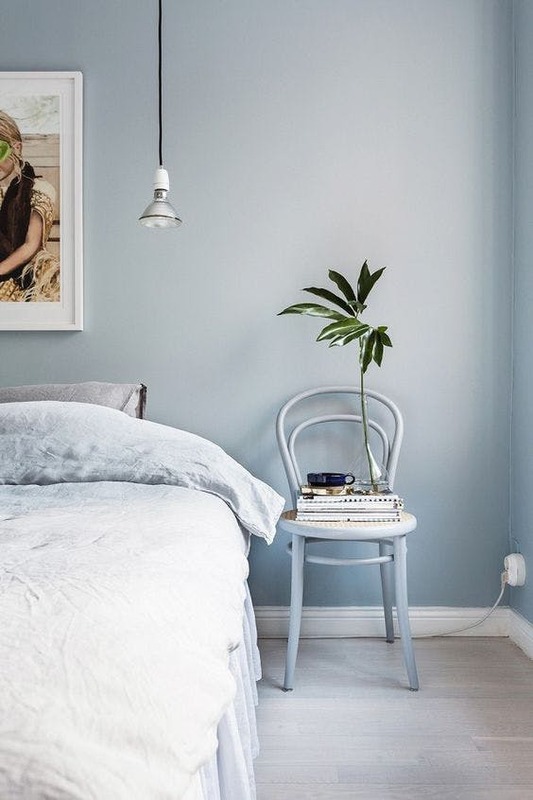 Different shades of blue do well in bedrooms as well, in more vibrant colors like cadet or cerulean. Zillow found that bedrooms painted in these shades increased sale price by $1,856. But why all this green for blue? Well, studies have shown for years that blue rooms can exude a level of calm and serenity into the home. It’s a comforting color and one that makes a home more welcoming. However, while blue is great in the bathroom and bedroom, the application of this color carte blanche around the home is not advised. Keep these blues out of the living room, notes the study. The best bet for living rooms is a light beige. 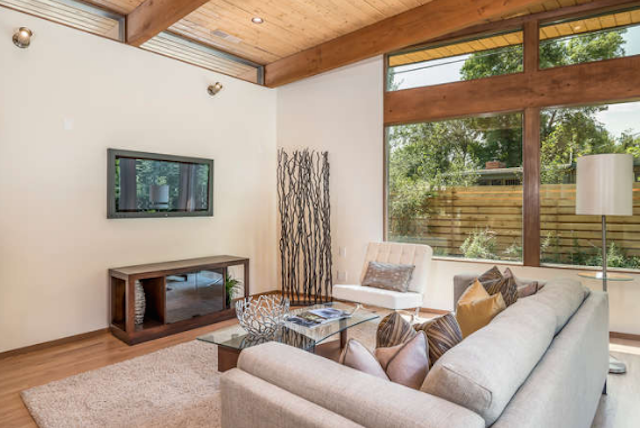 Other colors that seem to increase a home’s value are cool, and natural tones, like certain shades of brown, for example. You might try colors like oatmeal, light beige, and pale taupe. Homes with this color scheme in their living room saw an increase of $1,809. Home staging and thinking about making some visual changes curbside, as well ? The study shows that the best paint color for your exterior is greige (a combination of gray and beige). A popular choice already, Zillow shows homes with this color at an increase of $1,526. When it comes to staging your home for sale, make sure you choose a professional home stager who knows all the right paint colors. Although it may seem like a small detail, this study truly shows the huge effect paint has on home-buyers. 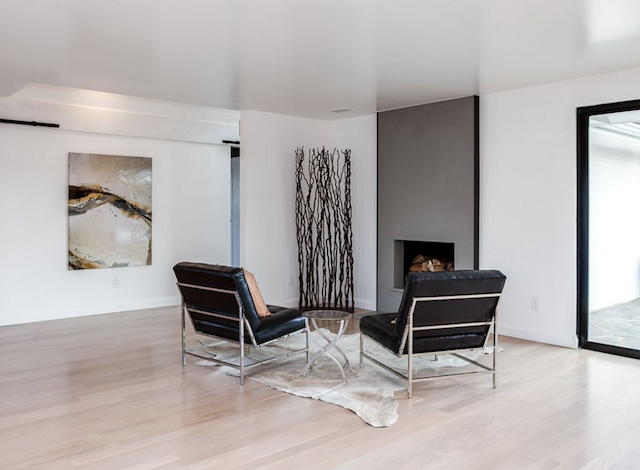 For more on the hottest hues for home staging this summer check out Lauren’s home staging tips on the Dunn-Edwards design blog.